We added the following new features throughout Helm CONNECT. You can now use Helm CONNECT in low light conditions by switching to night mode. We added the following new features in the Onboard area. Our new Crew module helps your captains maintain an accurate list of their crew members by logging crew on and off their vessels. This tool also provides them with access to information about their crew members, including their positions and the current status of their certifications. Our new Maintenance Overview module provides your crew with an overview of all the maintenance work happening on their vessels. It gives them access to the same maintenance planning tools used by your shoreside teams in the shore version of Overview. It also allows them to quickly look up the current status of their vessel's certifications. We added the following new features in the Onboard and Compliance areas. Our new Documents module, available in both the Onboard and Compliance areas, provides your crew and shore-based teams with controlled access to your document library. Identify each document with a version number, track when updates are received by your vessels, and archive documents you no longer want your teams to use. We added the following new features in the Compliance area. Our new Corrective Actions module provides you with a single tool to manage all the corrective actions resulting from forms or audits completed in Helm CONNECT. We added the following new features in the Setup area. A new Audits tab in the Templates module allows you to create templates for your company's internal audits. We made the following enhancements throughout Helm CONNECT. Changes to open tasks, audits, corrective actions, inspections, surveys, maintenance routines, or forms. Changes to finished tasks, audits, corrective actions, inspections, surveys, maintenance routines, or forms in history. Changes to asset or personnel details. Note: Only people who can log in to Helm CONNECT and who have a valid email address in the system will receive email notifications. The responsible party for an inventory template will receive a notification when an inventory checklist based on that template generates a requisition. The responsible party for a requisition template will receive a notification when a requisition based on that template is submitted. The responsible party for an individual requisition will receive a notification when that requisition is submitted. The responsible party for an audit will receive a notification when the audit is closed and ready for review. The responsible party for a document will receive a notification when each vessel computer receives the document or new versions of the document. The responsible party for an individual certification will receive a notifications if that certification is overdue and has been updated, if it's updated when it's 90 days or less from its expiry date, or when it reaches each of its lead time milestones. An individual will receive a notification when he or she is assigned an inspection checklist. An individual will receive a notification when he or she is assigned a maintenance checklist. An individual will receive a notification when he or she has created a corrective action which has been finished and is now awaiting his or her approval. An individual will receive a notification when he or she has been assigned a corrective action. We made the following enhancements in the Onboard area. In Logs, the Log on the right side of each tab has a clean, simple new look that makes it easy to see the details about your crew's finished work. In Logs, new icons in the Log and on the History tab clearly indicate whether a form was approved or declined. We made the following enhancements in the Onboard and Maintenance areas. You can create personalized work lists by assigning inspections, surveys, and maintenance routines to individuals in Logs, as well as on the Details tabs in Overview and in the new Maintenance Overview module. We made the following enhancements in the Onboard and Compliance areas. On the History tab in Forms, you can now see whether or not a finished form has been declined. You can also see who declined it, as well as when and why it was declined. We made the following enhancements in the Onboard, Maintenance, and Compliance areas. In history, you can now correct errors in finished, declined or deleted items, such as tasks, corrective actions, inspections, surveys, maintenance routines, and forms. The system displays details about any changes, including the original entry, the date and time changes were made, and the name of the person who made them. In history, you can now review deleted tasks. The system displays details about deleted items, including the date and time they were deleted, the name of the person who deleted them, and a comment explaining why they were deleted. We made the following enhancements in the Compliance area. If you're required to add a corrective action before approving a form, you can now add the corrective action directly from the form during the approval step. We made the following enhancements in the Management area. In both Asset Manager and Personnel, you now have the option to make the expiry dates on certifications optional. In both Asset Manager and Personnel, if necessary, you can now renew a certification without attaching required documents. In both Asset Manager and Personnel, you now have the option to assign one or more active employees to be a responsible party for individual certifications. Responsible parties will receive email notifications if that certification is overdue and has been updated, if it's updated when it's 90 days or less from its expiry date, or when it reaches each of its lead time milestones. We made the following enhancements in the Setup area. In Users, you can now assign someone a temporary password. 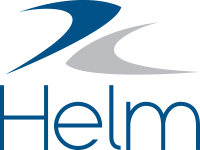 When a user logs into Helm CONNECT with a temporary password, he or she will immediately be prompted to set a new password. In Templates, for both personnel and asset certification templates, you now have the option to make the expiry dates on certifications optional. In Templates, for any forms template that requires shore approval, you now indicate whether users must add a corrective action before approving the form.